As we know, we use folding display stand, through the hot wxtrusion injection molding and compression molding to process the folding display stand. But not all Hollow Board made by PP raw material can be called eco-friendly vegetable and fruit display shelves.PP raw material has features of non-toxic and tasteless, but producted by only PP raw material is not eco-friendly and can not be called eco-friendly Hollow board.Need add preservatives, moisture, antioxidants in accordance with the standards required by Country in the production process so that the board is produced with environmental performance.Today,in order to reduce the cost,many companies purchase low-quality raw material for folding display stand production. Raw materials is the source that can control and ensure the board of environmental protection.Our raw material suppliers are all very well-known companies such as Sinopec, can provide us with environmental protection certificate to ensure the quality. In order to reduce production cost and competition for the price, there are many types hollow board manufacturers add an non-plastic fillers(calcium carbonate powder) into the raw material, some reach as much as 50%. Customers can hardly distinguish when filler below 20%.but the service life of board was significantly reduced, and the five physical mechanical features of the board are seriously affected.Therefore, there is a detection standard in the identification of folding display stand quality: tensile strength N, tearing force N, elongation at break%, vertical compression force N, surface compression force N,incoming raw material melt index ect. In addition, there are a variety of processing methods for ESD and conductive board.The gap of quality and production cost also quite large. and quite difficult to distinguish the authenticity.When the board does not meet the above test standards, the folding display stand is easy to break in the circulation process, resulting in huge losses for the users. So customers need to choose the actual strength manufacturers to eliminate the risk. 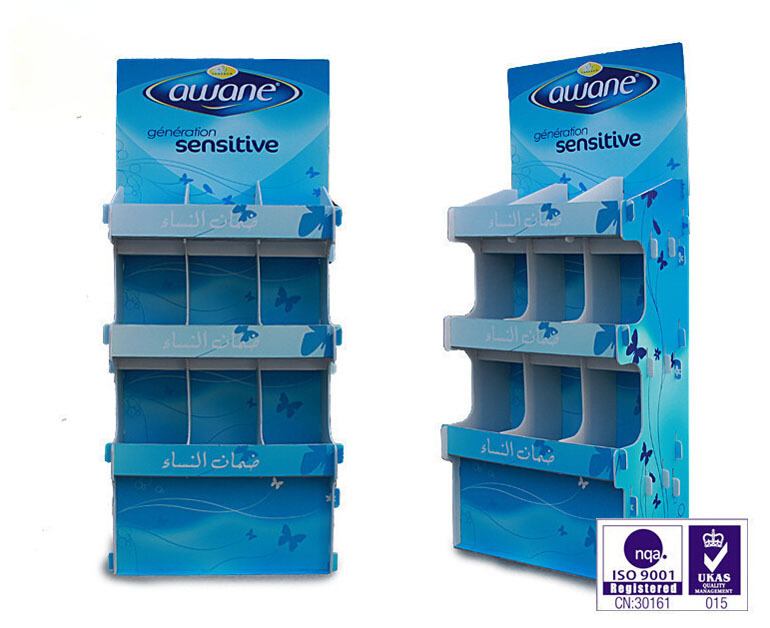 Looking for ideal The Plastic Folding Display Stand Manufacturer & supplier ? We have a wide selection at great prices to help you get creative. All the Advertising Display Stand are quality guaranteed. We are China Origin Factory of Foldable Display Stand. If you have any question, please feel free to contact us.